Step out of Porto de Galinhas to go to Tamandare and see Carneiros Beach, which is approximately 1h 05 min away. There's lots more to do: kick back and relax at Muro Alto Beach, admire the landmark architecture of Gaipio Sugar Cane Mill, see the interesting displays at Museu das Tartarugas - Ecoassociados, and stop by Nata Artesanato. To see where to stay, more things to do, reviews, and other tourist information, you can read our Porto de Galinhas journey planner . Brasilia to Porto de Galinhas is an approximately 6-hour combination of flight and shuttle. You can also do a combination of flight and bus; or drive. Traveling from Brasilia in December, Porto de Galinhas is somewhat warmer at night with lows of 29°C. Wrap up your sightseeing on the 31st (Tue) early enough to drive to Maragogi. Kick off your visit on the 1st (Wed): get great views at Mirante do Cruzeiro, enjoy the sand and surf at Maragogi Beach, and then explore the gorgeous colors at Gales de Maragogi. To plan Maragogi vacation without wasting time, ask Inspirock to design an itinerary. Drive from Porto de Galinhas to Maragogi in 1.5 hours. Alternatively, you can do a combination of shuttle and bus. Traveling from Porto de Galinhas in December, plan for slightly colder nights in Maragogi, with lows around 25°C. Finish your sightseeing early on the 1st (Wed) so you can drive to Sao Miguel dos Milagres. A tranquil enclave of the Coral Coast, Sao Miguel Milagres offers postcard-worthy scenes of white sand, swaying palm trees, and clear waters. On the 2nd (Thu), kick back and relax at Lages Beach, look for gifts at Sandalia do Lima, and then kick back and relax at Praia de Sao Miguel dos Milagres. Plan trip to Sao Miguel dos Milagres with our itinerary maker to find out where to go and what to do. Traveling by car from Maragogi to Sao Miguel dos Milagres takes 1.5 hours. In January, daily temperatures in Sao Miguel dos Milagres can reach 35°C, while at night they dip to 26°C. 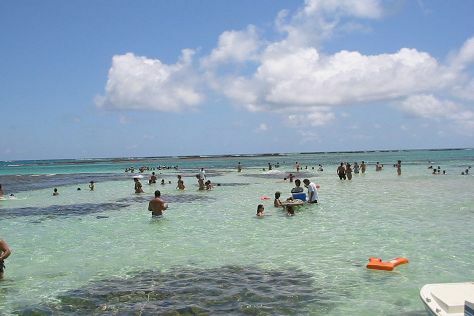 Cap off your sightseeing on the 2nd (Thu) early enough to go by car to Maceio. On the 3rd (Fri), enjoy the sand and surf at Praia de Pajucara and then enjoy the sand and surf at Gunga Beach. 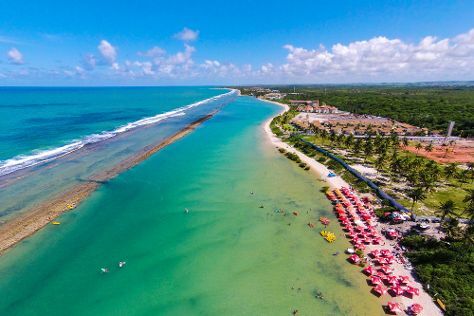 On the next day, stroll through Ponta Verde Beach, then look for gifts at Parque Shopping Maceio, and then kick back and relax at Frances Beach. To find maps, where to stay, other places to visit, and more tourist information, read Maceio holiday planner . You can drive from Sao Miguel dos Milagres to Maceio in 1.5 hours. Expect a daytime high around 35°C in January, and nighttime lows around 26°C. Finish up your sightseeing early on the 4th (Sat) so you can travel back home.